Was the Garden of Eden Located in Iraq? As a Christianity-defending ministry, Answers in Genesis is often engaged in dispelling widely held myths that run contrary to the teachings of Scripture, as well as good research. These false beliefs run from the broad claim by ardent evolutionists that “all scientists believe in evolution and millions of years,” to the myth spread by some misinformed Christians that Charles Darwin recanted evolution on his deathbed. Since March 2003, when US forces and 29 allies invaded Iraq to topple the regime of dictator Saddam Hussein, both secular and Christian media outlets have frequently declared that Iraq is the location of the biblical Garden of Eden. (Some secular sources, however, would also describe the Garden as “mythical” or “fabled,” as if it never really existed). But is Iraq the place? No. How do we know that these rivers mentioned in Genesis are not the same ones that are in Iraq today? 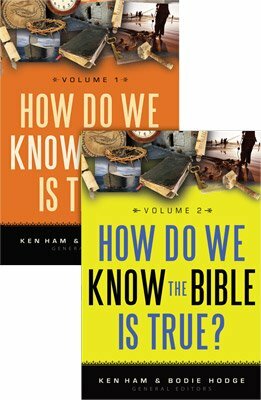 Now, when we have had to point out that the Garden was not in what is called Iraq today, some Christians—many who may have some knowledge of Genesis 2:10–14 and its reference to the Tigris1 and Euphrates Rivers coming out of Eden, and who are also aware that rivers with the same names flow in Iraq today—are shocked. If Christians would accept the straightforward historical account of a worldwide Flood ( Genesis 6-8 ), they could not say that the Tigris/Euphrates Rivers and the Garden were located in the current Mesopotamian region of Iraq. The global Flood would have been so catastrophic, that the world before the Flood would have been completely torn apart and reworked, with massive amounts of erosion and tremendous thicknesses of sediment laid down. The pre-Flood world, and thus the Garden, ceased to exist—it perished, as 2 Peter 3:6 confirms. Neither river could have possibly survived such a cataclysmic event. After the Flood, Genesis 10:10 records that Noah’s family and descendants moved from the region of Ararat to the plain of Shinar (the area known as Sumeria/Babylonia), which has two rivers, the Tigris and Euphrates. These rivers, however, cannot be the same as those in Genesis 2. These newer rivers, then and now, run on top of huge thicknesses of Flood-deposited layers of rock. Obviously, the two newer rivers were named after the rivers that were once flowing during pre-Flood times. Such a naming pattern has been frequent in history. It was especially employed by colonizing countries who brought familiar names to their new colonies (e.g., settlers from Britain who went to Australia and America simply applied familiar names to many locations in their “new world”). Furthermore, a closer examination of Genesis 2 reveals that the topography in and around Eden was different than today. Four rivers had once come out of Eden; today, however, only two major rivers, the Euphrates and Tigris, cut through Iraq. Also, one of the four rivers, Gihon, is described in Genesis 2:13 (KJV) to “compasseth the whole land of Ethiopia”; but the modern-day country of Ethiopia is over 1,000 miles from Iraq (and across water: the Red Sea). Contrary to popular belief, then, the Garden of Eden was not in Iraq. It was destroyed by the global Flood, and so its actual location under piles of sediment can never be known.3 For that matter, the original Garden could have been on the other side of the world! In Genesis 2, the Tigris River is called “Hiddekel” in the King James Version of the Bible. Even one relatively well-known apologetics group in the eastern part of the US (but which will remain nameless), and believes in a recent Creation and a global Flood, got this wrong in one of its broadcast emails. A related article was published in our Creation magazine, June–August 2003 issue.